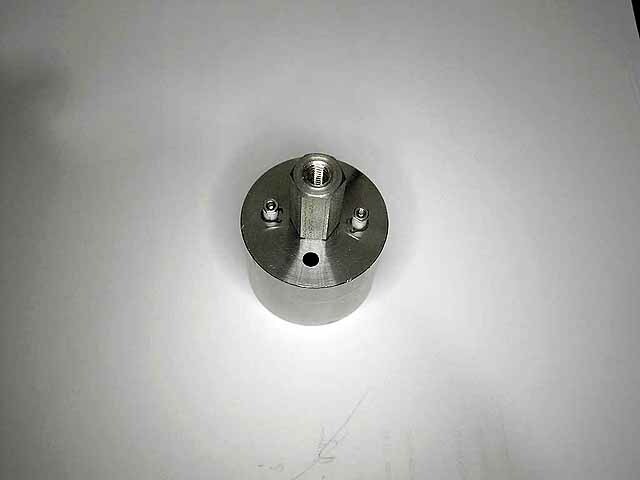 The mass production anode layer ion source was originally developed as an ion source for the Mark 3 fusor, allowing neutron production rates up to 2.4e6n/s (as of fall 2016) and significant improvements in operation stability. 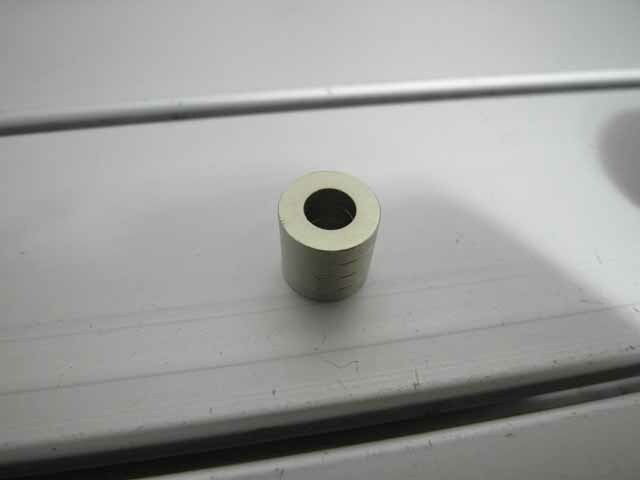 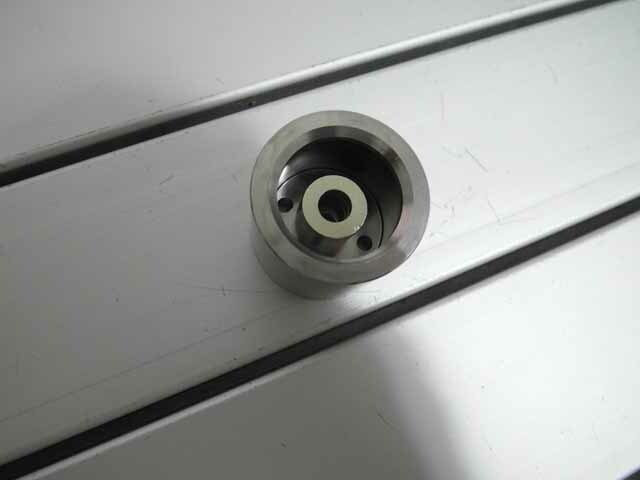 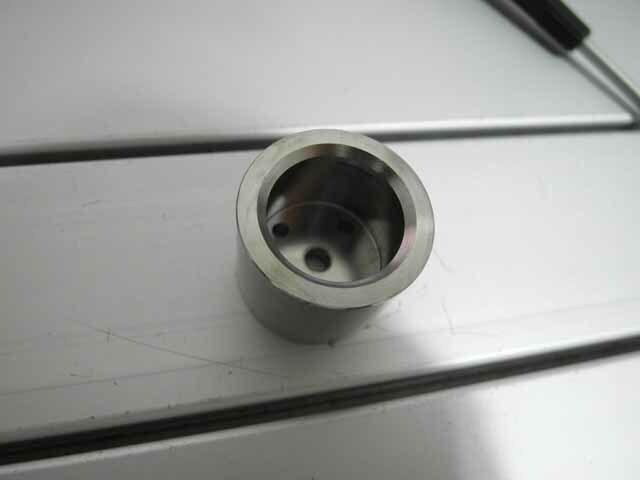 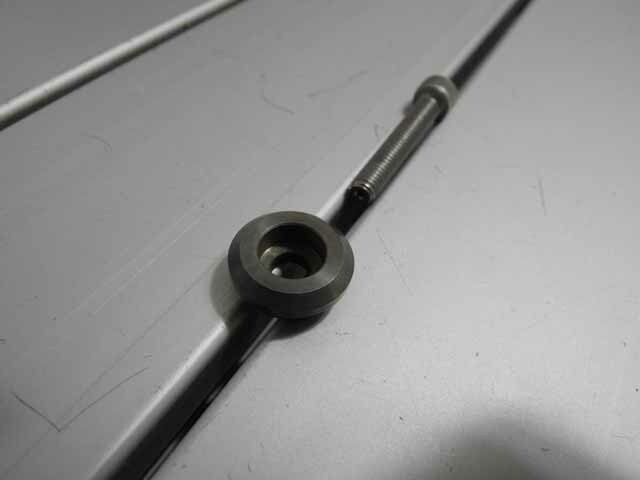 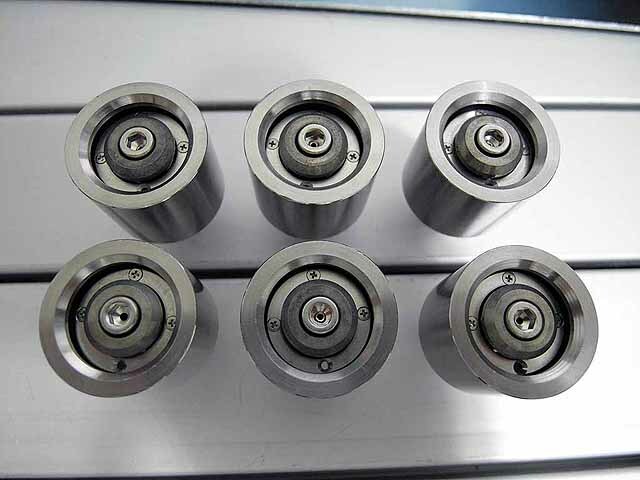 The mass production version uses SmCo magnets instead of NdFeB magnets to allow high temperature(~300C) operation / bakeout and use in a hydrogen/deuterium environment without hydrogen embrittlement; NdFeB magnets will disintegrate after absorption of enough hydrogen. 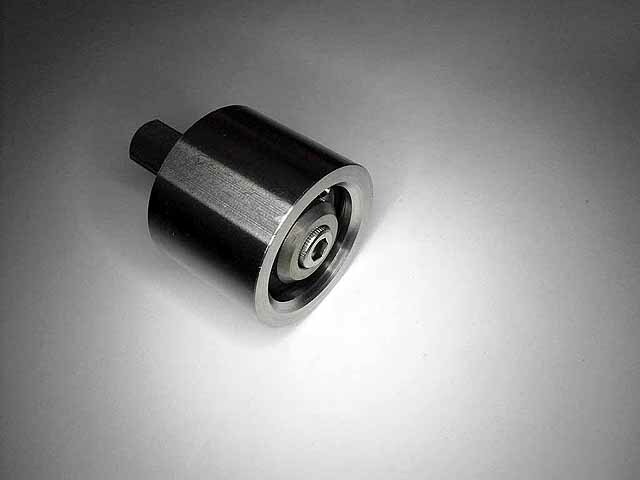 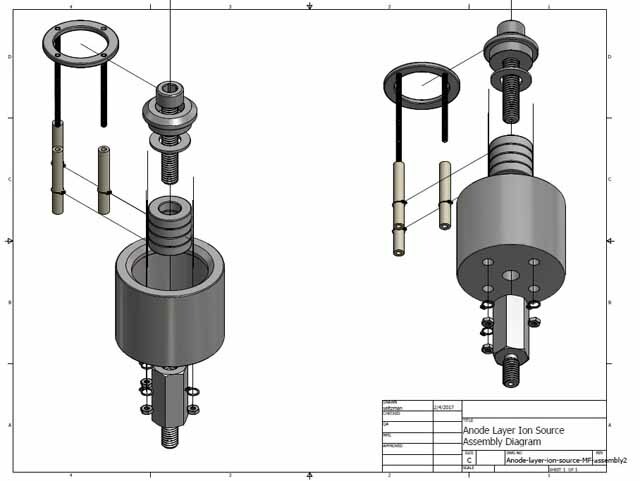 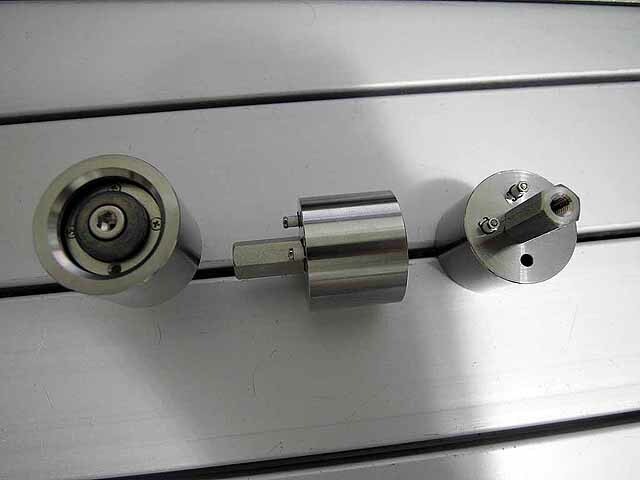 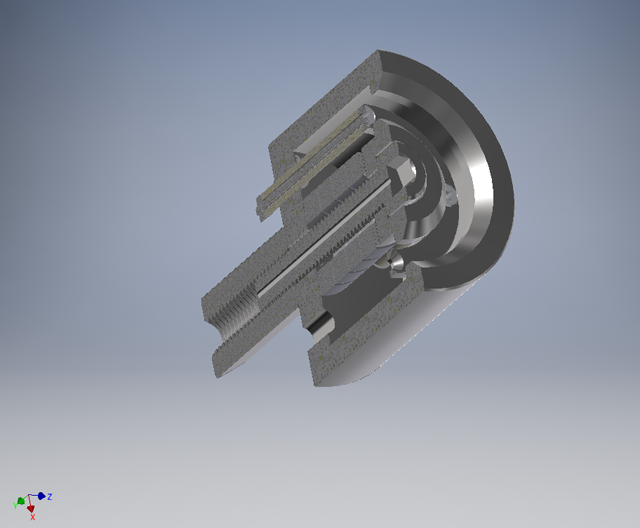 The Pole piece and case are CNC machined for closer tolerances and better reproducibility. 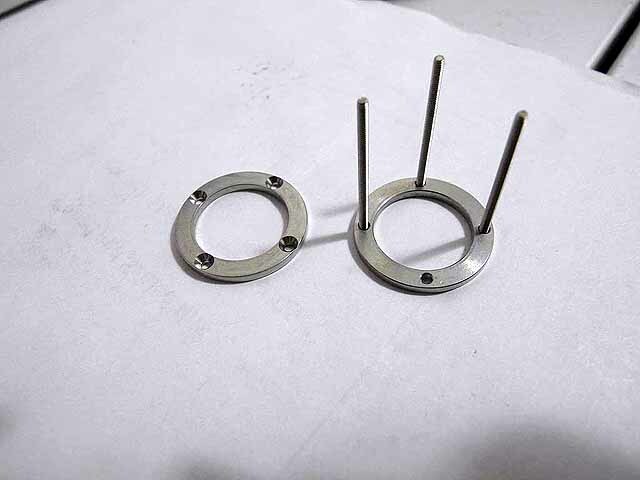 An anode layer ion source consists of a positively biased ring shaped anode between two grounded magnetic poles that create a radial magnetic field across the anode ring. 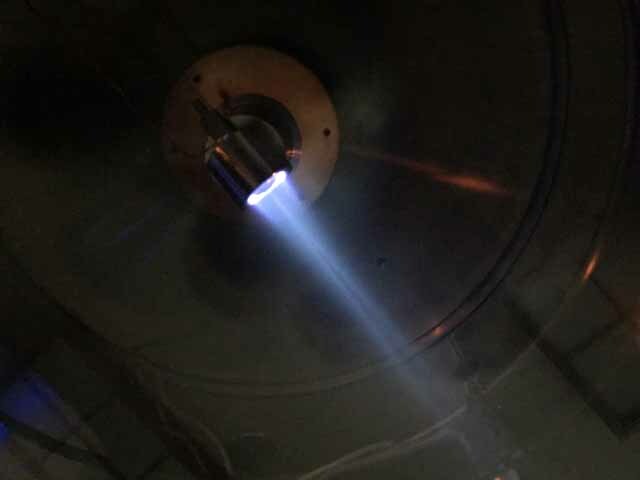 Electrons drift above the ring due to the ExB force and ionize gas (either ambient or a controlled flow over the anode ring) which is then directed into a ring shaped beam. 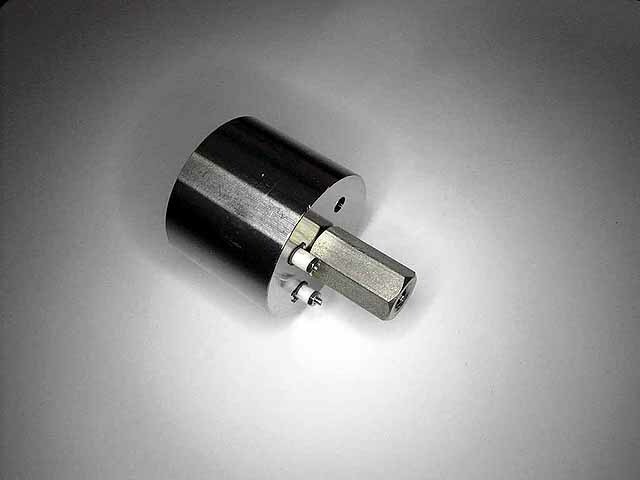 Anode layer sources have been used as satellite thrusters, plasma sources, for thin film deposition or surface treatment. 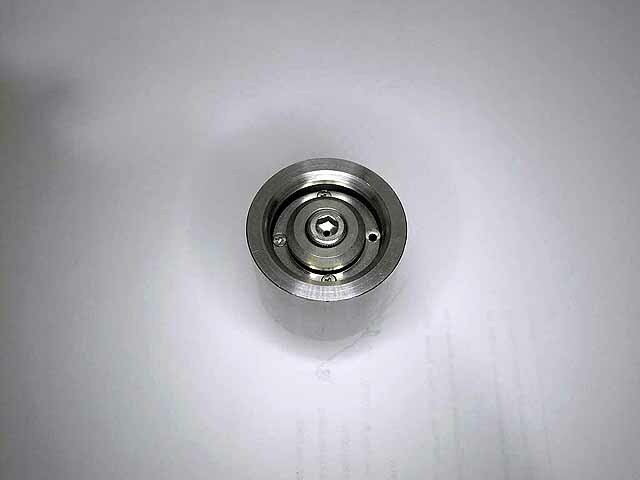 The ion sources are for sale see Startup company website. 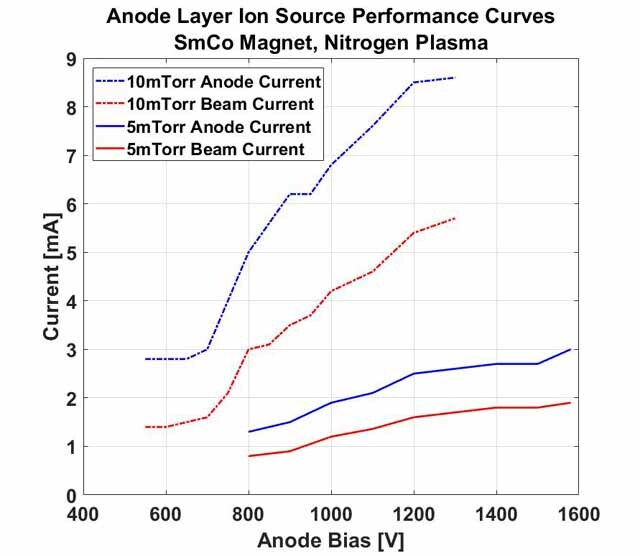 Approximate performance curves of the anode layer ion sources. 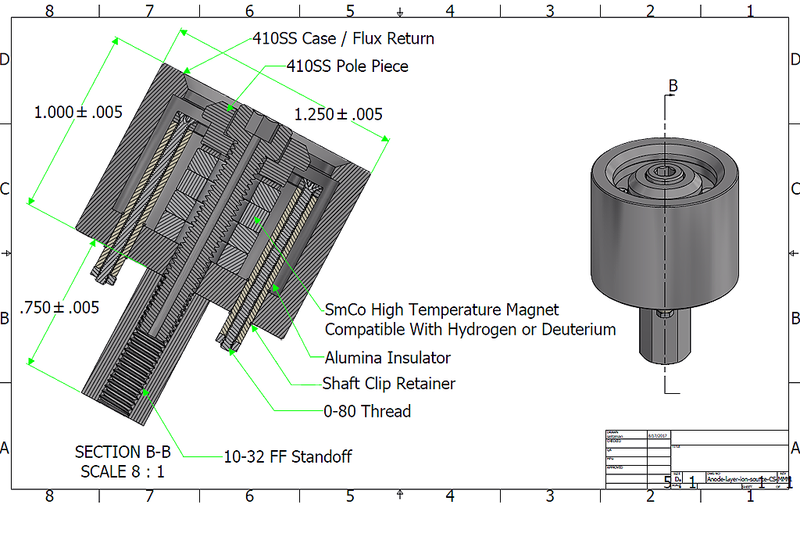 Diagram of ion source components. 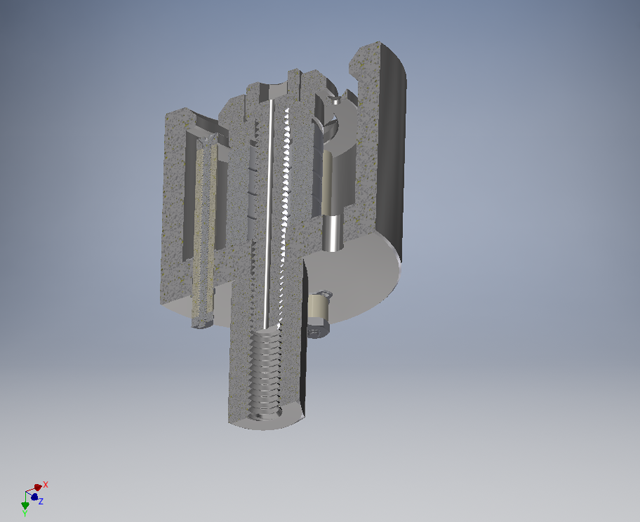 Ion source cross section, front view. 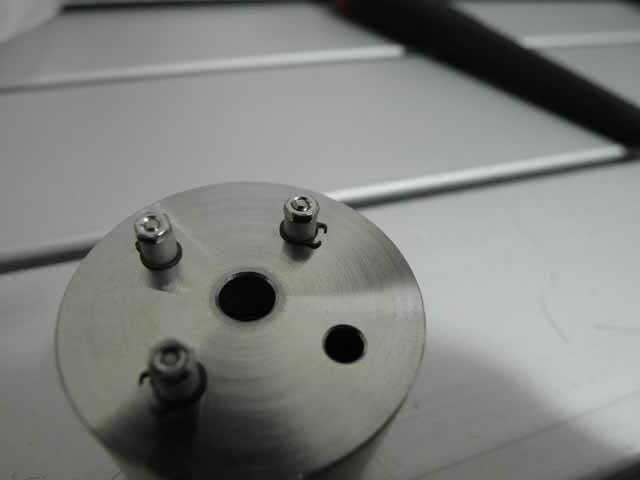 Ion source cross section, rear view.